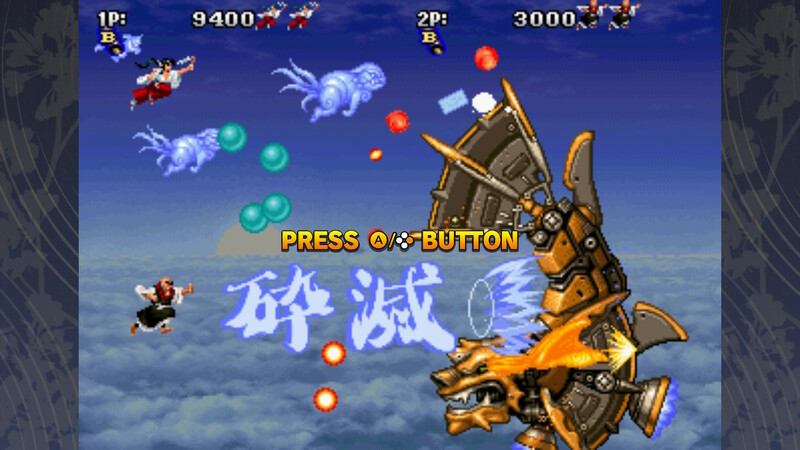 Tengai is a port of a quirky Japanese shoot-em-up originally released for arcades in 1996. Despite its age, it still feels good dodging around oncoming foes and weaving through waves of bullets. It’s a competent game, however, it’s not quite an innovator of its genre. The real appeal of the game is its simple, fun cinematics featuring is peculiar, colorful cast. 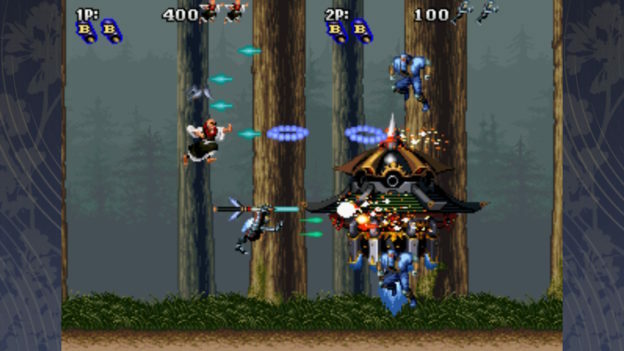 Gameplay in Tengai is the typical shmup affair: as the screen scrolls to the end of the stage, you fly around shooting through enemies and bosses to increase your score and avoid being shot down yourself. Scoring enough points will begin a second, more difficult run of the game after finishing the final stage. Enemies usually attack by launching a huge barrage of bullets — a single hit of which can kill you and deduct a life. Some foes, on the other hand, may try ramming into you directly, which will reduce your current power. 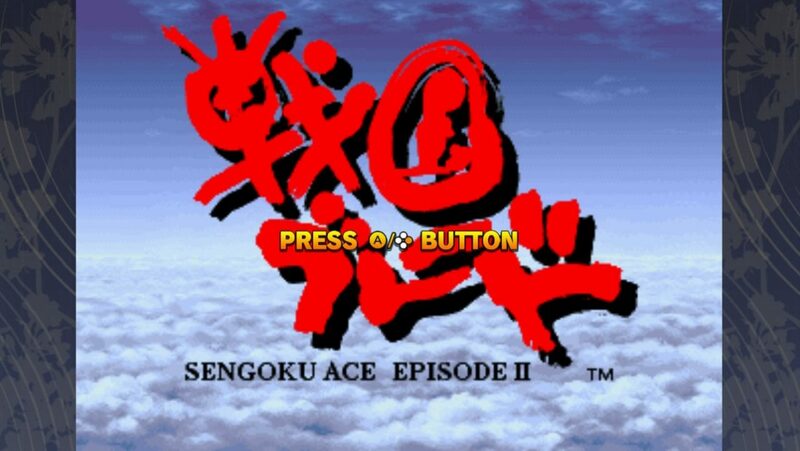 One of the central mechanics that Tengai has going for it is the ability to accumulate power. Doing so increases the amount of bullets you can shoot at once. 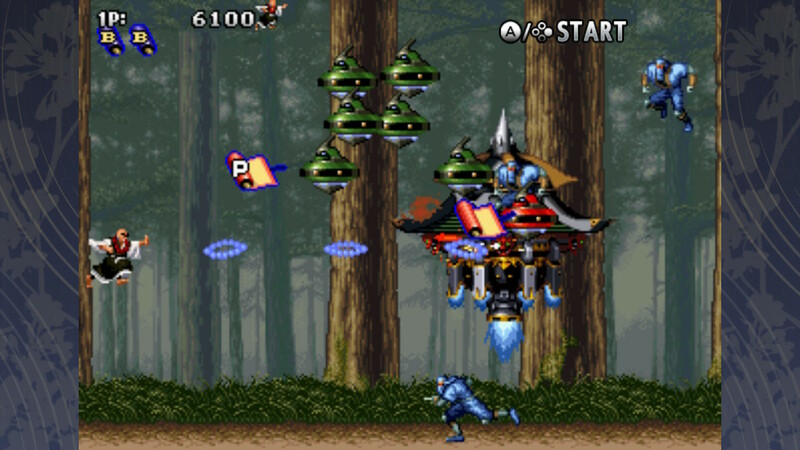 Power is collected by snatching power-ups labeled “P” that drop from red enemies. You can also collect bombs, which enable you to use your character’s ultimate ability. 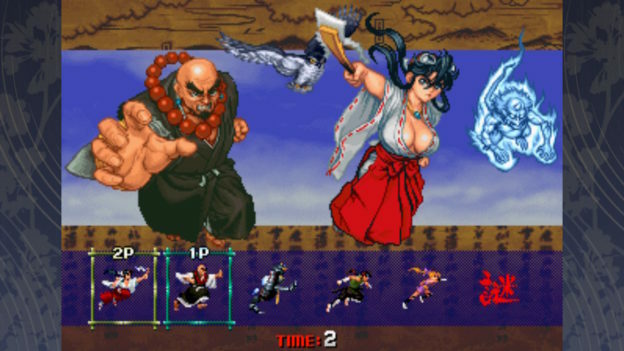 Tengai offers six different playable characters, one of whom must be unlocked by entering the code detailed in the digital manual found on the pause screen. Each character shoots a different bullet pattern and has a unique special ability. For example, Koyori creates a giant circle of electricity that’ll damage anything within its radius while Sho peppers the stage with a multitude of katana that fly towards foes. Five of the six protagonists have two different endings. On top of that, there is an ending for every possible character pairing when you play the game in co-op. The ending cinematics don’t have Shakespearean writing by any means, but they’re generally goofy fun and serve as a decent reward for clearing the game. Finishing a run can be difficult, as bullet patterns fly towards you more quickly and come at you in greater number. Thankfully the Switch version allows you to modify the difficulty and increase the amount of continues you have. If you’re more into extreme challenges, you can also crank the game to the hardest difficulty and set your continues to zero. What’s disappointing about the Switch release of Tengai is that it’s a port of the most bare-bones edition of the game. 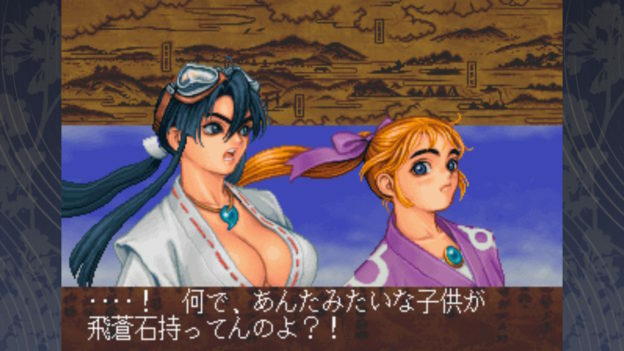 There was a Saturn port released in Japan with fully-voiced cutscenes and a seventh playable character. The original arcade version, which this port is based on, has neither. The Saturn version has become a sought-after collector’s item, and it would have been cool for it to be easily accessible on the Switch. Tengai is a simple shooter with a lot of charm. The gameplay, while nothing special, is perfectly serviceable. And with twenty-plus endings, adjustable difficulty, as well as multiple fun and colorful characters, there’s a lot of incentive to keep coming back after each playthrough. It’s worth checking out if you’re a shmup enthusiast, just keep in mind that this might not be the version of the game you’re looking for. Tengai is a simple shooter with a lot of charm. The gameplay, while nothing special, is perfectly serviceable. And with twenty-plus endings, adjustable difficulty, as well as multiple fun and colorful characters, there’s a lot of incentive to keep coming back after each playthrough.